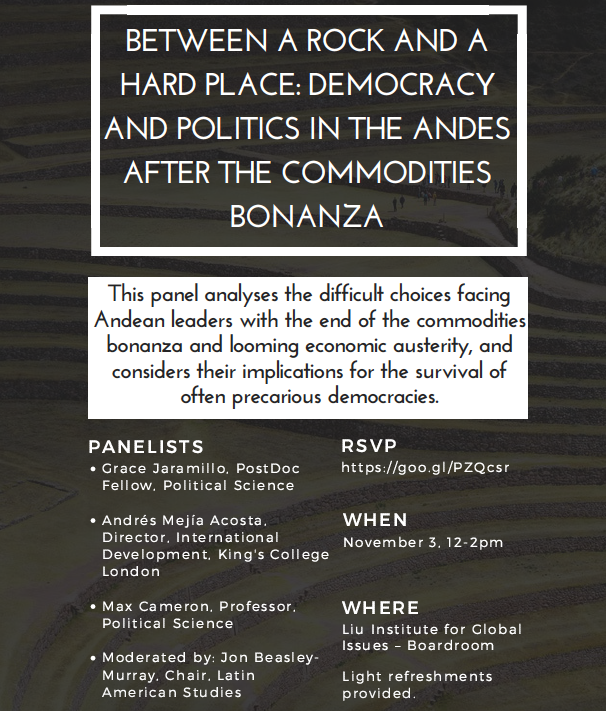 Join us for a panel on Friday, Nov. 3rd which analyses the difficult choices facing Andean leaders with the end of the commodities bonanza and looming economic austerity, and considers their implications for the survival of often precarious democracies. Please RSVP. Hi everyone, thanks for coming and participating in the Public Talk and Workshop with Professor Abraham Acosta last week. We had a rich and stimulating discussion about important if perhaps under-studied events. We recorded the Public Talk for those who could not make it. Talk given for the University of British Columbia working group on “Latin America and the Global,” at the Liu Institute for Global Issues. September 14th, 2017. We apologize that the first minute or two of the talk did not get recorded. Stay tune for more events this and next term. 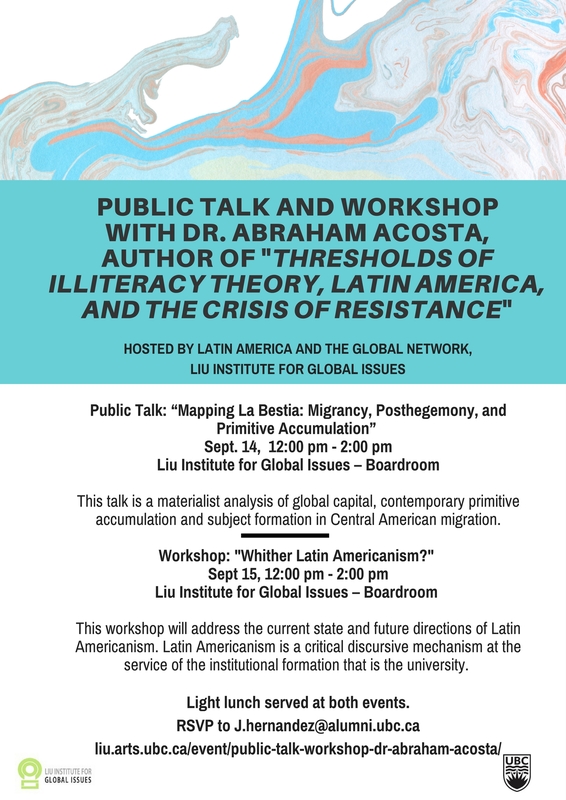 The Liu Institute’s Latin America and the Global Network invites you to Dr. Abraham Acosta public talk and a workshop. The public lecture open to the UBC community and the general public.The workshop is open to UBC graduate students and faculty. A light lunch will be served at both. Please RSVP. 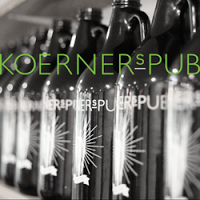 This is to announce that we will having our first meeting Friday September 15th, 3:00 PM at Koerner’s Pub. As always bring your questions, dreams, ideas, “iniciativas,” and new friends over. This semester will be packed with events. We begin with the visit of Prof. Abraham Acosta from Arizona University. His talk is a very relevant examination of current biopolitical condition and possibility of life and movement in Central America across Mexico. He will be giving a Public Talk Thursday 14th and a Workshop on Friday the 15th both in September. Both events at noon and taking place in the Liu Institute Boardroom. So, enjoy the last week off and see you Friday or before at the Talk or Conference. 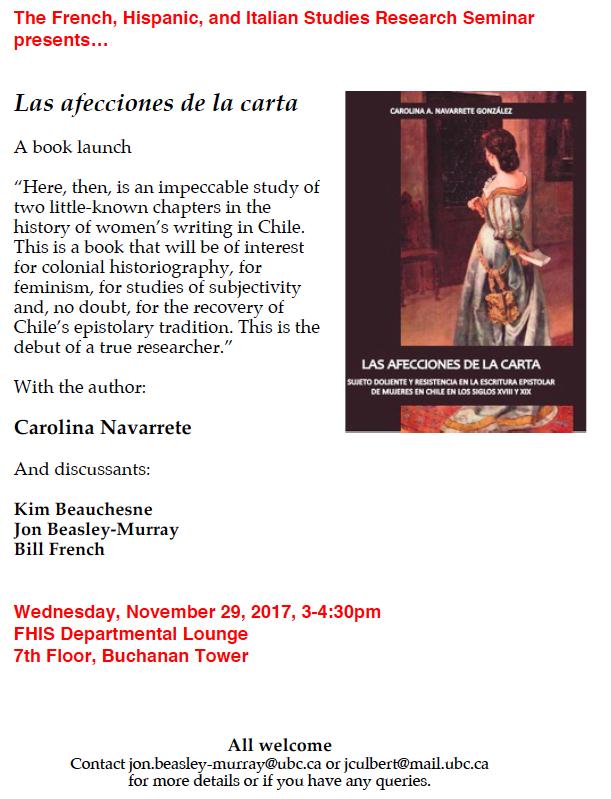 Next week’s presenters are a group of political science Ph.D. students working on Latin America. They will be talking about different but overlapping themes, ranging from obstacles to state development to the diffusion of participatory innovations in the region. 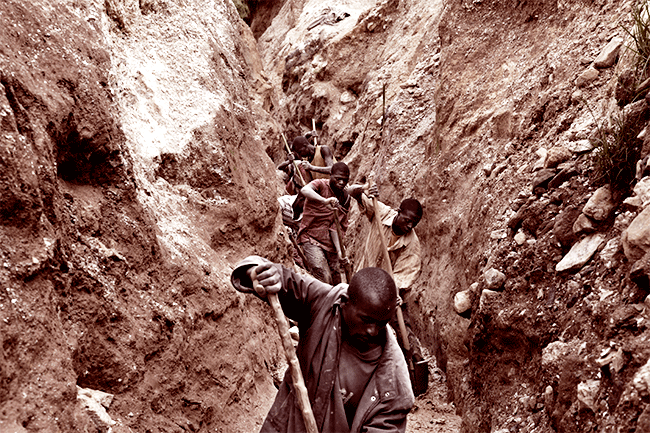 Zaraí will look at the phenomenon of artisanal mining and discuss how private governance has assumed roles traditionally pertaining to the state. Dominique will question the theoretical assumptions of the Varieties of Capitalism literature and their value in explaining the evolution of regional welfare state structures. Finally, Eon Joung will discuss the variation in the success of participatory budgeting initiatives in Brazil, Uruguay, Chile, and South Korea. We are all looking forward to being engaged in fruitful discussion. 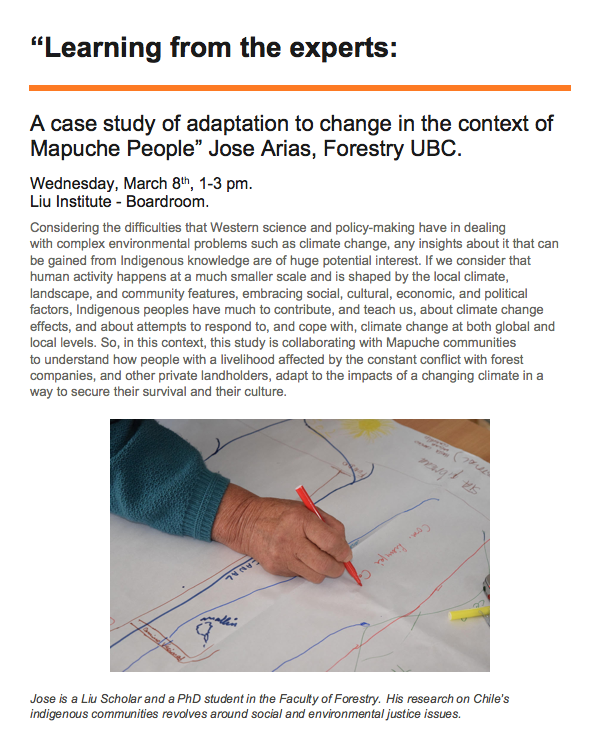 “Adaptation, Change & the Mapuche People” José Arias, Forestry. How to re-desing the Latin American city? 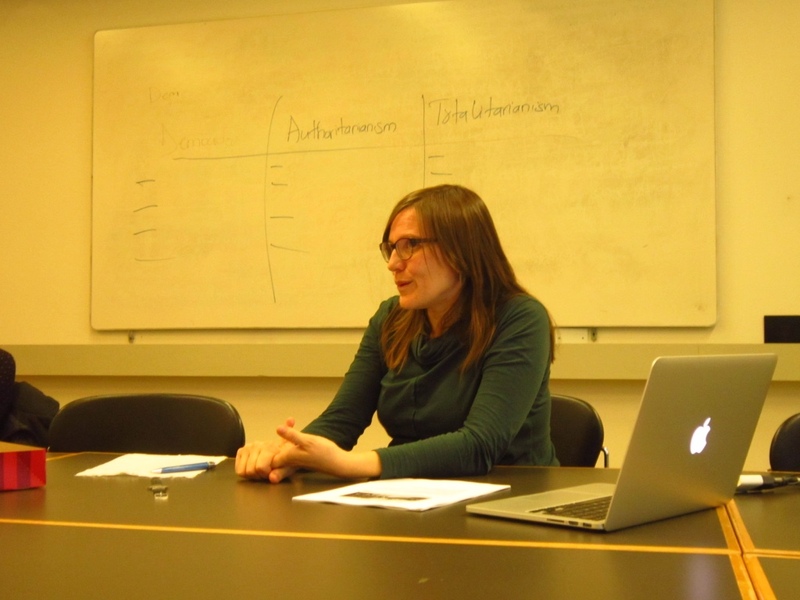 PhD student Sara Escalante (SCARP) recently gave a remarkable talk about the needs of marginalized constituencies in the Latin American production of urban space. 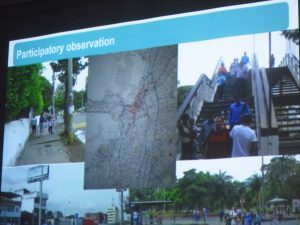 Her presentation, part of a larger collective project with Col·lectiu Punt 6, walked the audience through an urban audit commissioned by the city of Cali, Colombia. In explaining the specificities of place as an object always transversed by conflict, antagonistic interests and the hetero brilliantly analyzed by Michel Foucault, Sara produced a comprehensive reading of a city that poses every challenge for the planner; specially, for those who like Sara, are mindful of a multiplicity of microevents as experienced by groups -about whom designers usually give little thought: sexual minorities, sexual workers, slum dwellers, women, afro-colombians. Sara’s voice in the context of a highly and thoroughly masculinized (and bureaucratized) profession such as Architecture and Urban Planning, was truly refreshing and stimulating in that it makes us uncomfortably aware of the dynamics of power (micro and otherwise) that still determine and oppress certain bodies in the urban space. In this sense, to approach a subject, a social problem, an issue from the methodological feminism exposed and espoused by Sara is to discover how the former can address not only explicit women’s concerns but those of the whole social fabric improving the city for all. We look forward to hear about the city’s adoption of Sara and Col·lectiu’s recommendations. 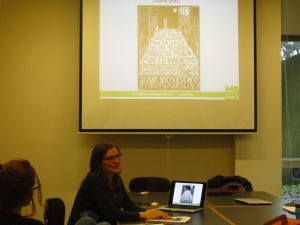 Urban safety from a feminist perspective in Cali, Feb 15! 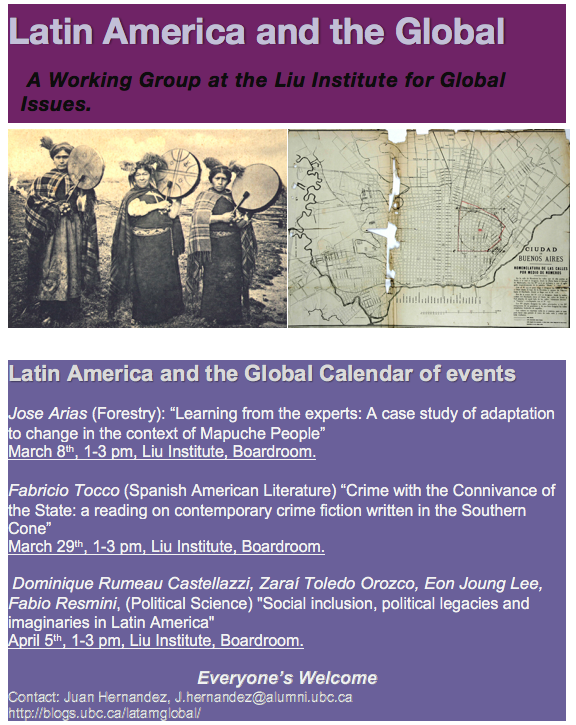 Please join us for the next meeting of the Latin America and the Global research group where we will discuss Sara Ortiz’s research in Cali, Colombia. Sara is conducting her PhD in the School of Community and Regional Planning. She works with Col·lectiu Punt 6, a group of feminist planners and architects in Barcelona interested in rethinking the built environment from a gender perspective. Her dissertation discusses how planning affects everyday/everynight life of women working at night, and in particular, the impact of gender violence, safety issues and transportation. When: February 15th, 2017 – 1:00-3:00 pm. In 2014, Col·lectiu Punt 6 in collaboration with the city of Cali, Colombia and diverse women’s groups conducted a safety audit from a gender perspective, in particular applied to public housing projects. In this presentation, she will present the work developed in Cali and the audit results.